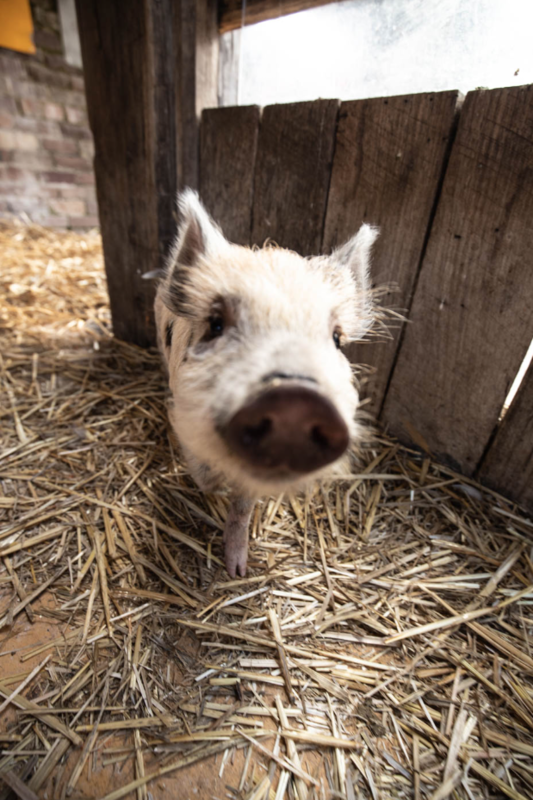 Introducing the newest member of The Grounds family…Harry Trotter! 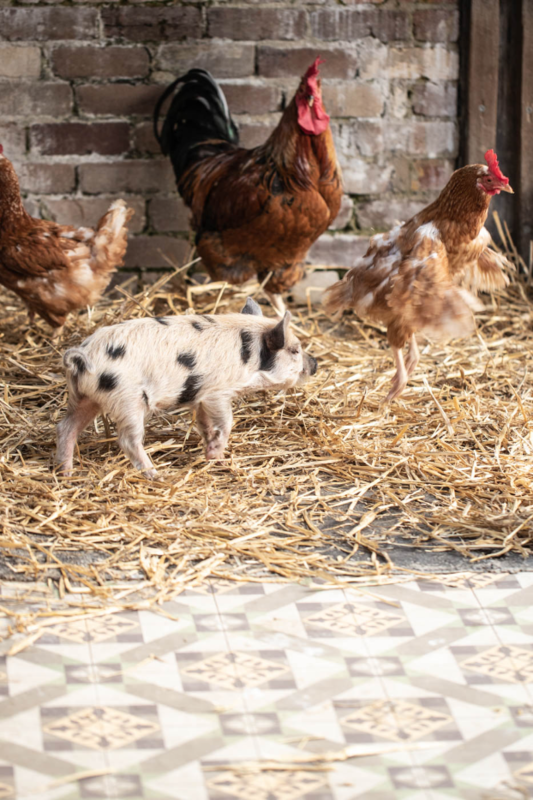 Fresh out of Hogwarts, this little spotted piggy has already cast his spell over us. Harry has been with us for a few weeks now hiding out in the chamber of secrets, he’s been checking out the pen after hours but wanted to wait until he was a little older to take up permanent residency. After all, The Garden is kind of like the Forbidden Forest to a little piggy. Harry was a little confused when he got into the pen, he was like “are you guys sirius, you only have one house?” he told us was in Gryffindor back at Hogwarts, mostly due to his bravery. 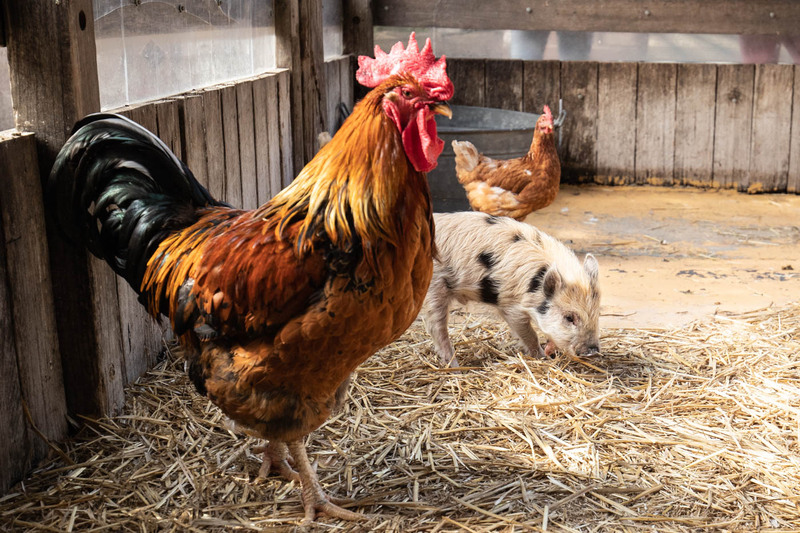 He is very clever – he keeps slytherin out from his pen and getting stuck into any treats he can find. He hates people snitching on him, and when he’s caught he gives us a cheeky smirk like he’s thinking “mischief managed”. He loves walks to the park, pigging out on cucumber and weekend Quidditch games with Russell Crow and the chickens – he’s definitely a keeper. Harry will be in his pen on the weekends for a weasley few hours in the mornings, but will be using his cloak of invisibility for some time out when he feels like a break. If you’re in the area and happen to come across Harry Trotter, remember he isn’t used to crowds of muggles and it may feel a little lestrange for him so we want to avoid disarming him. You may have a few questions about Harry Trotter – so here’s a little FAQ guide for you. If you want to shoot us an email with any other questions, please send them through to us at sayhello@thegrounds.com.au. WHEN WILL HARRY BE IN THE PEN? Harry will be with his carer in the pen making guest appearances over the coming weeks between 9am – 11am & 2pm – 4pm. We have an animal carer and a team of people that work at The Grounds that love looking after Harry. We’ve also been working closely with our local vet in Roseberry to make sure he’s happy and healthy. No! 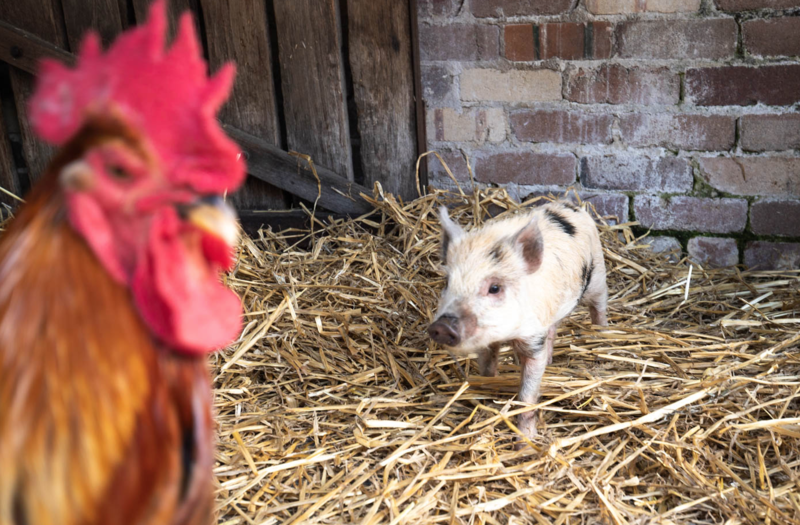 Please don’t feed Harry – he’s on a special piglet diet recommended by our vet, and it’s important that he sticks to it! IS HARRY IN THE PEN ALL DAY AND NIGHT? No, he’s too little to be out there all evening so we’ve been looking after him at home and making sure he’s safe and warm in the evenings. WHY DID KEVIN LEAVE/WHERE DID HE GO? Kev’s been with us for 6 years and we wanted him to have a change of scenery and experience life on the farm. He is currently living up in Foster in The Riverside Farm Escape he is enjoying life with his new friends and family! The Riverside Farm Escape is just over 3 hours north of Sydney in Minimbah, and you can definitely make day trips up (they even host camping sites too if you want to make a whole weekend of it!) They have a new website coming soon so we’ll link it here when it’s live and you can grab all the details. 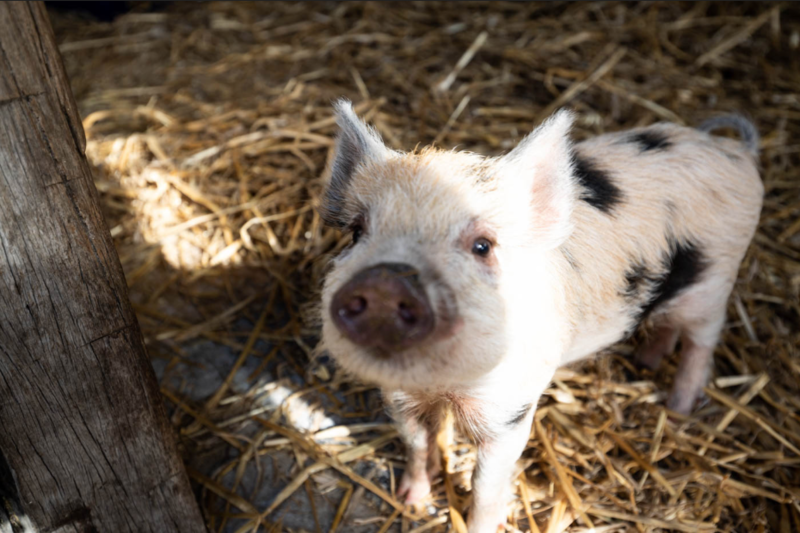 You can also follow them on Instagram – @theriversidefarmescape to watch videos of him rolling in the mud!